Vladimir Putin and President Trump during the Asia-Pacific Economic Cooperation leaders’ summit in Danang, Vietnam, last year. NONE OF US know the extent to which the Trump campaign actively colluded with Russia during the 2016 presidential election. But what we do know with absolute certainty is that President Trump is asleep at the switch when it comes to confronting Russia’s continued interference in our democratic elections. 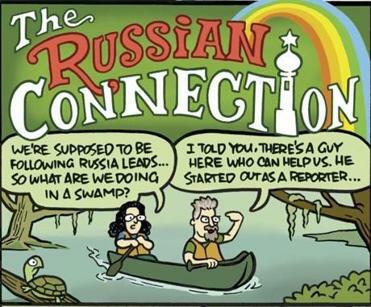 Indeed, for all the coverage of special counsel Robert Mueller’s investigation, the real scandal on Russia is staring us in the face. Consider what’s happened in just the past month. Three weeks ago, top US intelligence officials testified to Congress that Russia has already begun using social media and other propaganda efforts to interfere in the 2018 midterm elections. Their goals, said Dan Coats, the director of national intelligence, are to “exacerbate social and political fissures in the United States” — something they did to great effect during the 2016 election. Yet last week, when asked if he’d been authorized by President Trump to disrupt Russia’s cyber efforts, Mike Rogers, the head of US Cyber Command, said he had not. Lt. Gen Paul Nakasone, who has been nominated to replace Rogers, has said that plans have been drafted by the NSA and Cyber Command to strike back at Moscow for its cyber interventions, but they are waiting for Trump’s approval. 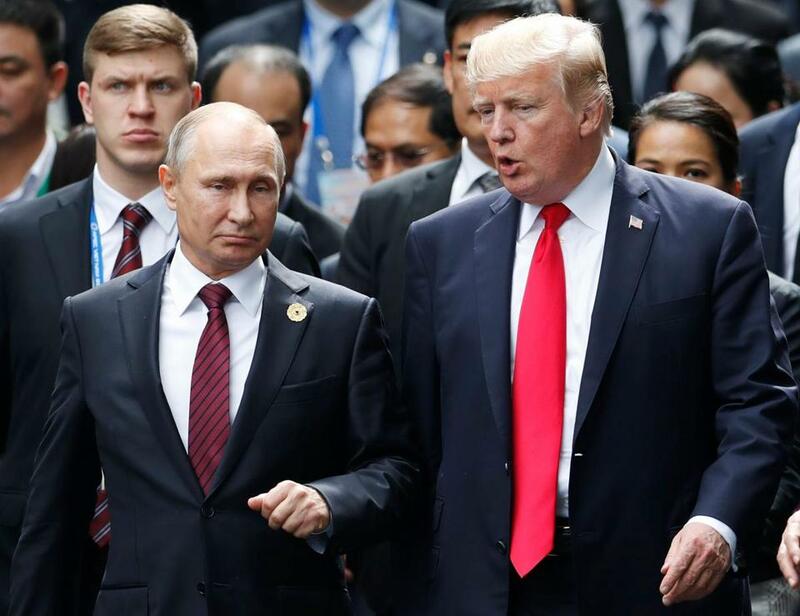 Earlier this week, Russian President Vladimir Putin delivered a bellicose speech that previewed Russian efforts to develop new nuclear weapons and even featured video of nuclear missiles hitting Florida. It also received no presidential response or condemnation. Finally, earlier this week, it was reported that the State Department has not spent a single dollar of the $120 million it was given to counter Russian efforts to interfere in US elections. Indeed, not one of the staffers in the department’s Global Engagement Center speaks Russian, and a hiring freeze has prevented the recruitment of computer experts who could combat Moscow’s meddling. This news comes at the same time that a new profile in the New Yorker of British spy-turned-private-investigator Christopher Steele suggests that Moscow pushed Trump not to pick Mitt Romney as his secretary of state because of his longtime anti-Russian views. Of course, the person who was chosen for the job, Rex Tillerson, had a longstanding and warm relationship with Putin. If we go back further, Trump has refused to implement parts of the sanctions regime imposed on Russia as a response to its 2016 meddling. He’s said that he believed Vladimir Putin when he told him that Russia did not interfere in the election. Trump has also repeatedly referred to the entire Russia investigation as a “hoax” and has downplayed Russia’s role in the presidential campaign. I have no idea why Trump will not to do anything about this. I don’t know if it’s ego, blackmail, a quid pro quo, a financial arrangement, or evidence of guilt. The answer is not unimportant, but it is, in some ways, a sideshow to the ongoing abdication of presidential leadership. Russian efforts to meddle in the 2018 midterms will continue unabated. They will almost certainly occur in 2020 as well — and the president will likely not do anything about it. There’s no precedent for a US president refusing to hold a foreign adversary responsible for such behavior. Even if Trump is not a Manchurian Candidate or a puppet of Putin, he’s certainly acting like one. What this means is that the man tasked with the awesome responsibility of preserving, protecting, and defending the Constitution of the United States is putting the integrity of our democracy and our elections at the mercy of a foreign government.